Gone are the days of Paris Hilton and Elle Woods with their chihuahuas in their handbags; now, true “pocket pets” are all the rage in the form of hamsters, rabbits, guinea pigs, and even chinchillas. Pocket pets are typically some form of rodent and vary in their care. Here are a few of the most common pocket pets and how to care for them so you can determine which one is right for your household. If you have a household with older children, you might opt for a rabbit. Living between 8 and 10 years, rabbits come in a variety of breeds. They love interacting with humans and are easily potty-trained. They require less care than many other pocket pets and require no vaccinations whatsoever. However, they do need a good amount of time outside of the cage and at least 12 square feet of enclosure space, depending on their size and weight. It is essential that bunnies have access to chew toys because they are lagomorphs, which means that their teeth continuously grow throughout their lives. Chew toys are essential to whittle their teeth down to a comfortable length. 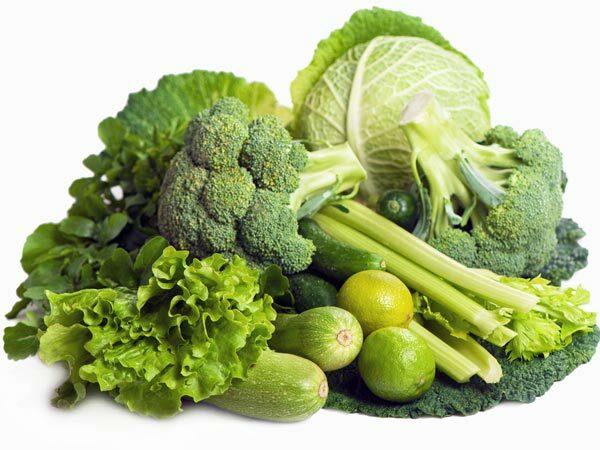 Rabbits eat a varied diet, including greens, pellets, veggies, and hay (for the digestive system). An important thing to remember with rabbits (and most other pocket pets) is that they are instinctually prey animals, so they’re easily startled. It is essential to approach them slowly and let them come to you, as they can be highly sensitive at first. If you get down to your bunny’s level and let the animal make the first move, you’ll be playing and cuddling together in no time. Chinchillas are very energetic but are not good for households with small children because they are extremely sensitive to light and sound. Living on a crepuscular cycle, these soft critters are most active at dawn and dusk and may literally bounce off the walls of their enclosures! 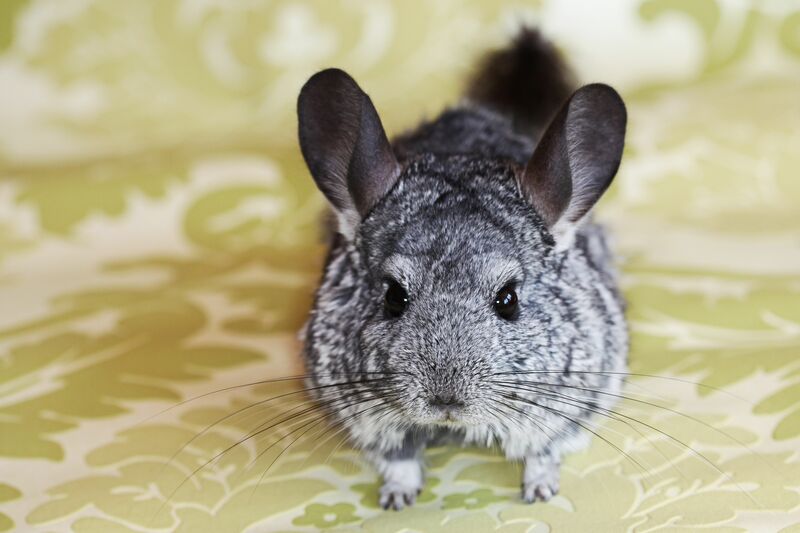 A single chinchilla needs a minimum of 5 or 6 cubic feet in its cage to roam, and 10 to 12 cubic feet are needed if you opt to purchase a playmate. They play with a variety of chew toys and live between 15 and 20 years. These rambunctious rodents need regular dust baths, an exercise wheel, and a very specific diet of hay and alfalfa pellets to maintain a healthy digestive system. However, with the right amount of time, money, and care invested, these soft creatures can be wonderful companions for years to come. The greatest pocket pet for any household with children has to be the tried-and-true guinea pig. With a short lifespan of about 5 years, these cuddly critters are fantastic with children, easily potty trained, and have been kept as pets since the 16th century! Needing a cage of only about 8 square feet, these portable piggies are sweet, loving, and require a simple diet of hay, vegetables, and pellets. Like rabbits, their teeth constantly grow, so they need plenty of chew toys to keep their teeth ground down. They have poor eyesight, so handle them slowly and deliberately. It is also recommended to keep at least two guinea pigs at a time because they are happiest when living in groups. However, be sure to get two of the same gender to avoid potential conflict and unwanted offspring. Keep in mind that a pair of guinea pigs will need a larger cage than a single pet. As with any pet, be sure to see a veterinarian regularly. Different vets specialize in different kinds of pets, so be sure to ask before you make an appointment. These tiny creatures age far quicker than other animals, so it is essential to keep their nutrition levels as high as possible. Be sure to bring them to the vet if you notice any changes in behavior or appetite. As most pocket pets are prey in the wild, they will instinctually hide signs of illness until it is sometimes too late; as soon as any symptoms show, the situation needs to be dealt with immediately. A seemingly healthy pocket pet may deteriorate and expire in a matter of hours if symptoms are ignored or left untreated. It is essential to make sure an animal will be a good fit in its environment to ensure the happiness of both owner and animal. Depending on the level of commitment you want to invest, the bottom line is to really learn about an animal’s needs before purchasing one. (Also note that not all pocket pets are legal in every state. If you’re looking to get a hedgehog or a chinchilla, you should check your local laws.) You can still enjoy cuddling with a pet if cats and dogs are not for you! 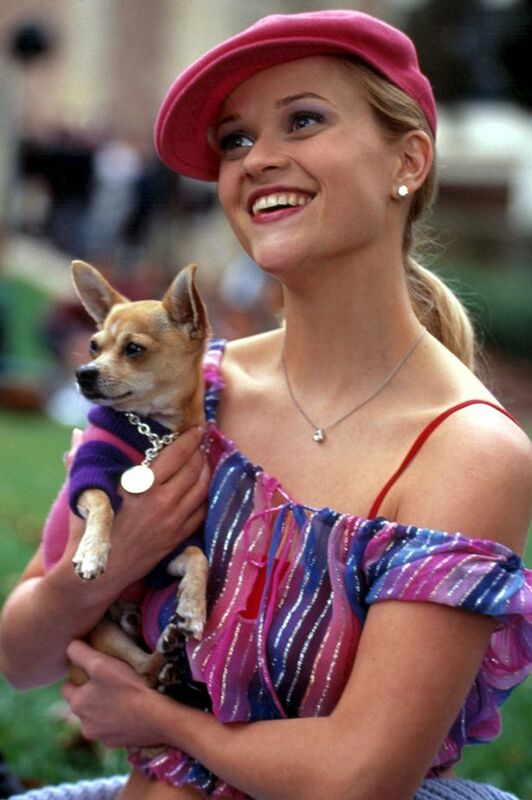 Consider a pocket pet as a fun and entertaining companion. Before the O.J. Simpson case brought it to the national spotlight, domestic violence was a topic seldom spoken of outside the home. Joann Schaefer, M.D., ABFP, has made it her personal mission to spread awareness and prevention of domestic abuse. Not only does Schaefer have a passion for public health, she has a personal connection to the work she has done to help victims of domestic violence. During her first year in medical school, Schaefer’s best friend lost her life due to domestic violence. Her friend had gotten out of an abusive marriage, only to be killed by her ex-husband three weeks later. Looking back, she said, “Her children are my godchildren, so it’s been a big journey. Right after her death, it made me try to understand what was happening in domestic violence. There was a lot being done, but it wasn’t being talked about on the national scene, and when I was in medical school I had about a five-minute education on it. That was kind of infuriating to me.” In those days, she said, medical schools paid scant attention to domestic violence. Schaefer recounted the number of times her friend had visited the emergency room over the course of several pregnancies, presenting with injuries that “doctors didn’t seem to know how to handle or what to do.” In one episode, her friend explained to the physician examining her that her two black eyes and a fractured eye socket were the result of falling down a flight of stairs. This unwillingness to talk about their situation is common in many victims of domestic abuse. Physicians are now being trained to delve deeper into circumstances when injuries and stories do not add up. Much of this training is thanks to Schaefer. After her friend’s death, Schaefer set out on a mission to bring education on screening and diagnosis of domestic violence patients to doctors, nurses and anyone working in the medical field. During her time working with Creighton Medical School, she changed the curriculum dramatically. “We got the curriculum changed from about five minutes on domestic violence to over sixteen hours at both medical schools here [in Nebraska], as well as nursing schools. That’s why you are asked about your safety now when you go into an emergency room,” said Schaefer. Partnering with local organizations such as the Women’s Center for Advancement, Schaefer stresses providing nonjudgmental support to those that may be living in a dangerous situation. One of the reasons Schaefer was in a position to act on her beliefs was due to her medical resume in Nebraska. Originally from California, Schaefer earned her undergraduate degree in biology and public health from California State University-Fullerton, then graduated from Creighton Medical School, “fell in love with Nebraska and stayed.” She has since been recognized by both Creighton University Medical School and California State University-Fullerton for her service and as a distinguished alumna. When tapped to serve the state after a number of years in private practice and teaching at Creighton’s medical school, she agreed to serve as deputy director if this would be a half-time position to allow her to continue her very active family medicine practice, including obstetrics; her tenured position as associate professor in Creighton University Medical Center’s Department of Family Practice; and her ongoing, nationally recognized efforts to curb domestic violence. Schaefer moved from deputy medical officer in 2002 to chief medical officer for the State of Nebraska in 2005. She was the first woman in Nebraska’s history to hold that post. She also served in a dual role as director of the Division of Public Health for the Nebraska Department of Health and Human Services and earned several awards for her work. As such, Schaefer was appointed by then-Governor Johanns to devise a plan for Nebraska to adopt in dealing with cases of domestic violence and the effects on children’s lives. Leaving her state post in 2013, she joined Blue Cross and Blue Shield. She quickly moved up the ladder there, and now serves as executive vice president, Health Delivery Engagement and chief medical officer. She is responsible for the company’s Risk Adjustment, Health Network Services, Case Management, Reimbursement Strategy, Utilization, Quality, Pharmacy, Medical Policy and Wellness Areas. Other things you might want to know about this accomplished professional. The six-foot-tall physician is married to Phil Haines, a retired Marine Corps gunnery sergeant, and together they have raised his two young daughters. She was diagnosed as a young woman with a genetic liver disease that would one day require a transplant. While serving as chief medical officer, she received that life-saving transplant with a partial liver donated by a friend and fellow doctor, Gary Gorby, now chief of the Department of Medicine, Nebraska-Western Iowa VA Healthcare System. She believes both she and her husband – who underwent quadruple bypass heart surgery – survived life-threatening conditions because they were physically fit, something they both work to maintain. In fact, she won WELCOM’s “Spirit of Wellness Award,” which honors a leader and innovator in our community for their passion and advocacy concerning the WELCOM mission. A community leader, Schaefer sits on the boards of many organizations. She loves to run and has more than two dozen marathons under her belt. There are so many public health issues she has been instrumental in improving. During her career as a medical officer, “She was assigned smallpox preparedness planning, both pre-event and mass vaccination post-event,” Rep. Terry wrote in his nomination letter. “Because of her skillful planning, Nebraska was the first state to be ready to respond to President Bush’s call to vaccinate public health and health care workers. In three short weeks the vaccinations were complete and we were the first to have the right people vaccinated, able to respond to a potential release of the deadly smallpox virus and we had the highest per capita rate of vaccination,” Terry said. In another public health ini-tiative, Schaefer had been working with the Charles Drew Health Center and became concerned about the state’s high infant mortality rate, particularly in that area of the city. When she was appointed deputy medical officer, she said she began “bugging” the then-chief medical officer about it, asking what she could do to help. This led to her being appointed to develop a solution. She chaired the Child Death Review Team that reviews all deaths of children under the age of nineteen in the state for analysis of cause and prevention and make recommendations to protect the youth of Nebraska. Under her purview, the team reviewed over 1,800 cases of children’s deaths from 1996-2004 for nature and cause of death for preventability and trending. The findings led her to implement a multi-pronged approach to help educate new parents, including a shaken-baby program and a back-to-sleep program. Of her newest position, Schaefer said, “I am having a great time now because there’s so much change happening in health care and I feel like I’ve had all of these roles.” She said her Blue Cross and Blue Shield role is “extremely fulfilling,” enabling her to use creativity and innovation to make a difference in members’ lives. Schaefer’s background in family practice, along with her public health and state government experience, gives her a unique perspective on the challenges of a complicated, rapidly changing health care system. In such a dynamic and fast-paced environment, Schaefer said she’s proud of the work she and others at Blue Cross and Blue Shield of Nebraska are doing to change the health care system and improve the way medical care is received and paid for. Her advice to young leaders is to “be passionate about your work, learn your work and know yourself. Try to be a really good leader and a lifelong learner, look for good opportunities to serve and good things will come to you,” she said. If you or someone you know needs help, call the National Domestic Violence Hotline at 1-800-799-SAFE (7233). With no limits but the imagination, aquariums are emerging as focal points in commercial lobbies, as elaborate inlaid headboards, or even as unique conversation pieces fit under staircases. 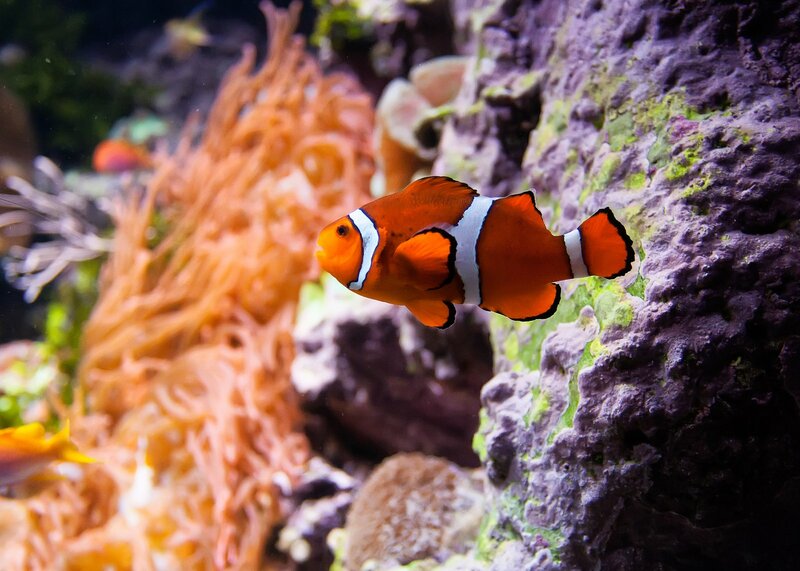 With tanks of all sizes and fish of all colors, an aquarium can create a feeling of relaxation and tranquility by housing a dazzling array of coral, leafy plants, and fish. Before embarking on your aquarium design quest, however, it is essential to know the basic ins and outs of the type of fish you want as well as their individual care requirements. An aquarium is a long-term investment; most fish, depending on breed and care, can live between five and 10 years. As with owning any pets, it takes time and dedication to keep an aquarium in tip-top condition for the sake of your aquatic beauties. Generally speaking, the bigger the tank is, the more maintenance and care it will need to keep its filtration system clean. For beginners, especially families with children or other pets, the best starter aquarium is a small one (with a lid for prying paws and fingers). With a tank that holds between one and 10 gallons of water, weekly maintenance can be as easy as cleaning the filter, changing out some of the water, and removing built-up residue. For younger children, an aquarium can create the perfect opportunity to learn the responsibilities of caring for a pet. If you decide to go with a grander aquarium and a more opulent marine display, there are a few additional steps that need to be taken before your fish can move in. If you opt for a freshwater aquarium, you must first set up the aquarium (filled with water) and let the filter run for at least 24 hours. This will allow the good and bad bacteria in the aquarium to balance out. After that, you can add in a small number of hardy fish, such as danios or gourami, that can withstand a certain amount of ammonia and nitrites in the water. These small fish are generally non-aggressive and can get along with other fish in the vicinity. Some other freshwater fish that are very popular include neon tetras, guppies, oscars (known to perform “tricks” and eat directly from the hand), mollies (watch out—they breed like bunnies! ), platies, discus, and bettas. Not all these fish live harmoniously, so it is essential to do your research before buying a particular breed. 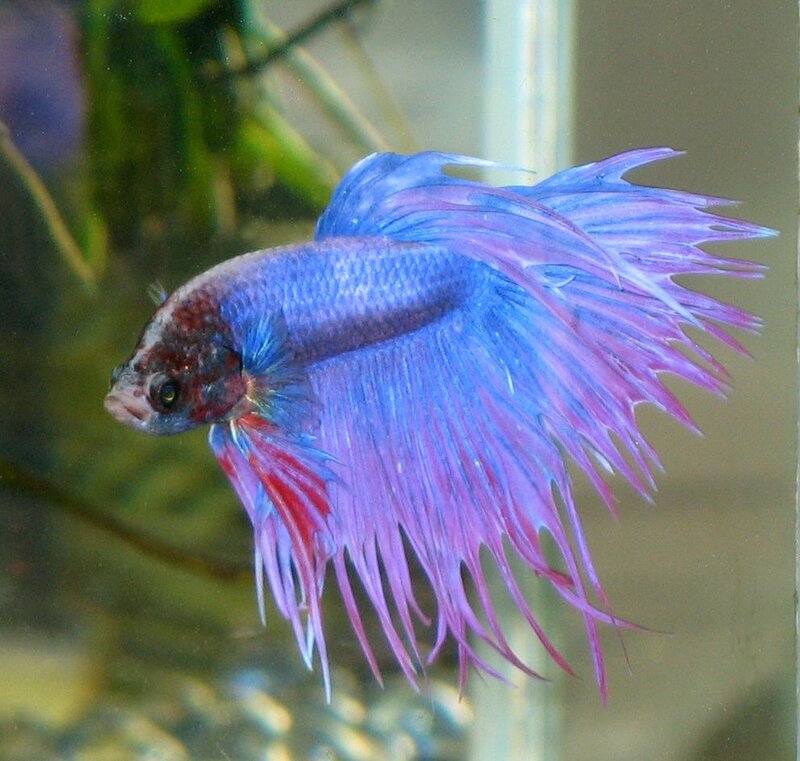 You should never buy a fish simply because of its looks! Each species has its own set of care instructions; the more extensive these requirements, the more expensive it will be to care for your fishy friends. To care for a larger aquarium, be sure to check the temperature and pH levels daily. Weekly, replace at least 10 percent of the current water supply with fresh, clean water and clean away any residual algae that may have built up. Monthly, replace 25 percent of the tank’s water with clean water, inspect or replace the filter components, and trim growing plants (if necessary). For tanks under 55 gallons, an under-gravel filter or an external power filter is recommended to cycle the water continuously and draw out impurities. 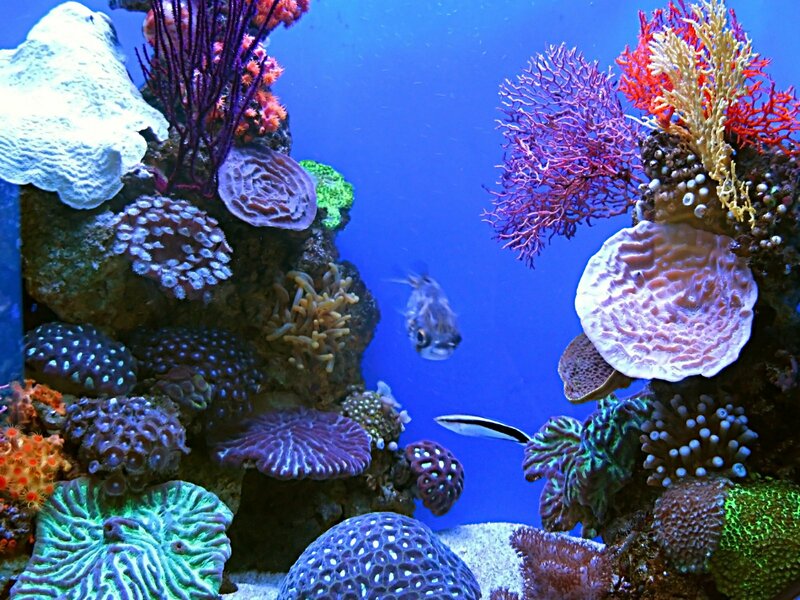 A saltwater aquarium offers the exquisite beauty of saltwater fish, but there are many important factors to consider before making the costly and time-consuming decision to care for a saltwater aquarium. First of all: If the care and maintenance of a freshwater tank sounds like a lot, saltwater tank maintenance will make it seem like a walk in the park. Also, the cost to set up a saltwater aquarium is significantly higher than a freshwater tank. However, because of the element of saline in the water, owners have the fascinating option of growing a coral reef in their aquariums. Of course, there’s also the benefit of raising some stunning saltwater fish. The most beautiful schooling saltwater fish are the tiny neon tetras, which are red with a neon blue stripe. Coral beauty angelfish, butterfly fish, clown fish, tangs, fire-fish, and dottybacks are all vibrantly colored and will create a symphony of color in any lobby or living space. Keep in mind that the rarity and beauty of saltwater fish can raise the price of your aquarium even more—prices can reach over $100 for a single fish, and some of them are not sold in pet stores. Consider starting an aquarium! It’s a great way to bring beauty to your home or office and to teach your kids about the responsibilities of pet ownership. As you likely know if you’ve ever gazed into an aquarium, watching fish can induce a meditative state with all its potential benefits, including lower blood pressure and decreased stress and anxiety. Curt Hofer & Associates is an expert team of builders and designers who have been building custom homes for more than two decades. After 20 years on Bob Boozer Drive, the firm moved to its current location (in Suite 102 at 16820 Frances Street) to accommodate its growing staff. Curt himself has been working in commercial development for the past 12 years. Steve Huber, the co-owner and president, ensures that the firm continues growing year after year. After working in cornfields and on construction sites in his youth, Steve put his skills to great use when he discovered architecture and design. “I’ve always been a guy who likes working with my hands,” he says. “I’ve always got a project going on at home.” When he started honing his craft, drafting was still done without the use of technology—that means blueprints and measurements were all done by hand, and they had to be precise to the inch for a home to be structurally sound. Steve and Curt met after college and bonded over their passion for architecture, their mutual work ethic, and their small-town Nebraska roots. “I worked for Millard Lumber as an outside salesman, and Curt was just getting started with his business,” Steve recalls. “After I sold him material for 2 or 3 years, he asked if I wanted to make a career out of this, and I came on with him as a superintendent.” About four years later, Steve joined Curt as a partner. Today, Steve works with family, too—his son, Zach, is an assistant project manager, and his wife, Kristi, is their controller! The team at Curt Hofer & Associates builds homes of all sizes and budgets, and they’re always up for a creative challenge. “We’ve put together a great team over the last 20 years,” Steve shares. “We have our own in-house design, we have our own plans. We’ve never built the same home twice!” Amenities such as outdoor living areas with kitchens and entertainment spaces are some of the current trends. Designer Marshall Wallman has been with them for 17 years, working to ensure that everything is one of a kind, down to the last detail. One aspect that sets Curt Hofer & Associates apart from the pack is their continued relationship with clients after the home is completed. “Unfortunately, in our industry, once a house is done, the builder and client usually never see each other again,” Steve explains. “We’re a little bit different. Most of our clients are clients for life. We do our planning up front with a good set of plans, and we have a service department to take care of clients’ needs now and in the future. Once we build a home, we continue to maintain it.” Homes, like cars, need routine maintenance to keep them in tip-top shape. This kind of follow-up service is rare in today’s industry. They’re invested in building modern homes, including smart homes with connected features like refrigerators, air conditioning, lights, security system, and even coffee makers. However, they aren’t distracted by shiny, new technology—they always take longevity into consideration when building homes. For example, they often install (or leave room to eventually install) an elevator to accommodate residents of all ages and abilities. Are you looking for a home that you can call yours forever? Call the experts at Curt Hofer & Associates at 402-758-0440 to lay the groundwork for the home of your dreams. For more information, visit curthofer.com. Shirley Tingley, the administrative director, notes that they assist clients of all ages, not just seniors. Whether the client is an adult with a mobility-limiting condition like multiple sclerosis, someone going through the rehabilitation process after surgery, or a senior who needs help with daily tasks, Caring Senior Service prides itself on providing the highest quality non-medical care for their clients. June Mourgis began Caring Senior Service in Omaha after struggling to find help for her aging mother. She wasn’t happy with the options that were offered to her own parents, so she bought a franchise and started on her own. Now employing a cleaning crew and an arsenal of 75 caregivers, the company seeks to help clients stay in their homes as long as possible. With many of their clients in the throes of rehab or living with a permanent medical condition, Caring Senior Service provides one-on-one companionship that nursing homes simply do not. This is particularly attractive for their younger clients. Many nursing care facilities, Shirley explains, are designed for older people. “The activities aren’t designed for a person under 40, so we’re seeing younger people who want to stay in their homes.” One client, for example, is a 36-year-old who was hit by a bus and had to be placed in a nursing home to recuperate. The client had no family to help with rehab, but Caring Senior Service was able to help with everything from getting dressed to performing physical therapy exercises. Shirley has worked at different companies in the caregiving field, and she says it’s the GreatCare method at Caring Senior Service that makes the company stand out. “We take a personal, vested interest in each and every client,” she shares. “We personally introduce every caregiver to every client.” GreatCare focuses on three vital areas: quality caregivers, care solutions, and active involvement. Because she went through the same challenges with her own parents, June knew firsthand what struggles a family faces when an older member needs help. June was able to adopt the GreatCare philosophy by catering to every individual’s needs. Each caregiver is personally matched to each client, Shirley explains. “It’s very easy to sit on a couch and stare at a TV with someone,” Shirley points out, “but that’s not what we’re about. We want to build that personal connection in order to pair the caregiver to the client.” Employing a wide range of caregivers, from soft-spoken CNAs to retired drill sergeants, the Caring Senior Service staff pride themselves on the ability to match clients with their ideal caregivers. Many clients need help with daily tasks like getting dressed or doing range of motion exercises. If a client needs physical therapy or nursing care, Caring Senior Service will work in conjunction with other agencies to best serve a client’s needs. “We can help with shopping, meal prep, companionship, housekeeping, errands, and more,” Shirley continues. They will also help with pet care for clients who have animals. Home Cleaning Centers of America was established because so many of the Caring Senior Service clients needed help keeping their homes clean as physical tasks became more difficult. The two companies operate in the same office and offer both services to better serve their clientele. For people who want to stay at home but need help taking care of the home or of themselves, Caring Senior Service and Home Cleaning Centers of America can help. For more information, call 402-682-7326 or visit omaha.caringseniorservice.com or homecleaningcenters.com.